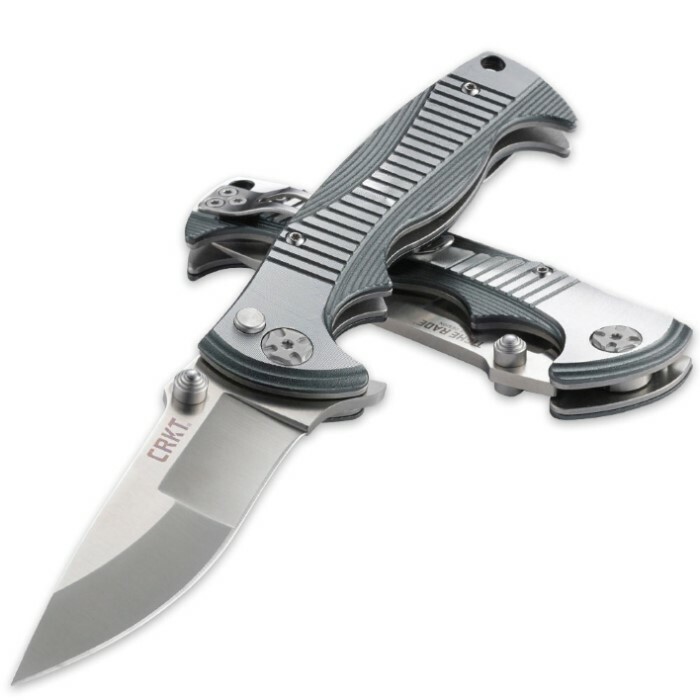 Tighe Rade Folding Pocket Knife | BUDK.com - Knives & Swords At The Lowest Prices! 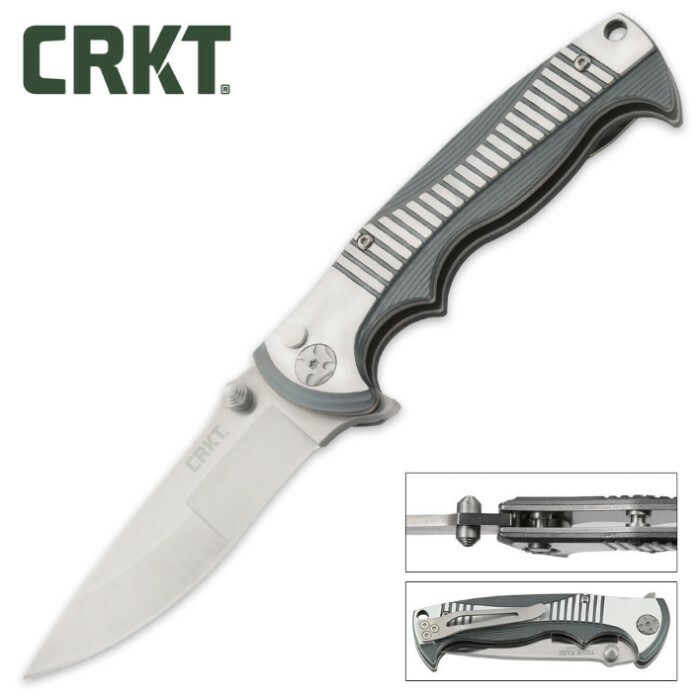 The CRKT Tighe Rade Folding Pocket Knife is a stylized creation by Brian Tighe and really a striking showpiece but don't let its style fool you. This folding pocket knife has power in its high-tech design. The blade is made of 8Cr13MoV stainless steel with a satin finish, a hollow dual grind and a drop point. The tip of the blade is reinforced for your more difficult cutting jobs but there is still finesse enough in this knife to delicately cut and strip wires. 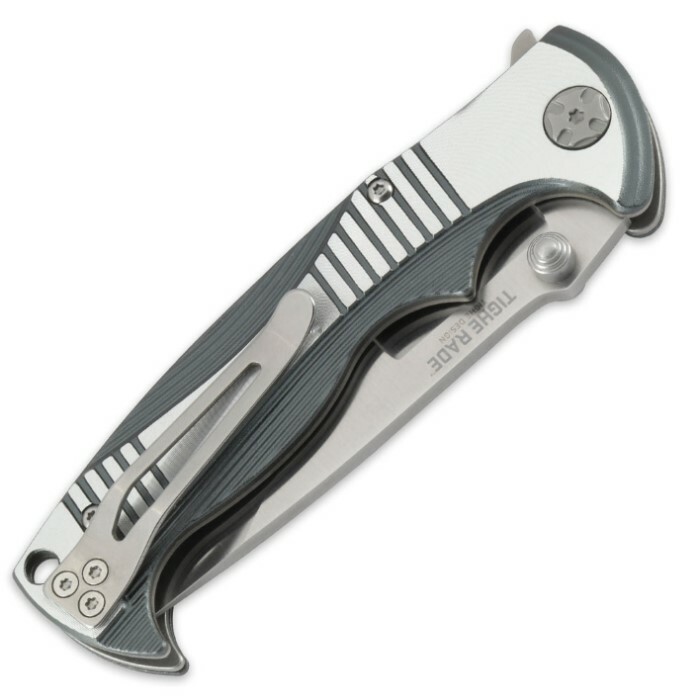 The blade can be deployed quickly with a flipper or dual thumb studs and the button lock keeps it firmly in place. The aluminum handle has contoured and textured grooves to keep it firmly in your hand and a pocket clip completes the picture.